Anyone employed by, or associated in some way with the meetings, hospitality and events industry can submit a nomination for the miaList. You may be from a venue, supplier or agency and you do not need to be a member of the mia to take part. The awards are free to enter and you can nominate as many people as you like. Nominations will not be accepted directly from PR companies working on behalf of an organisation. Any person working within meetings, hospitality or events in the UK or Ireland is eligible for the miaList 2019. They do not need to be members of the mia. The person nominating cannot nominate themselves. 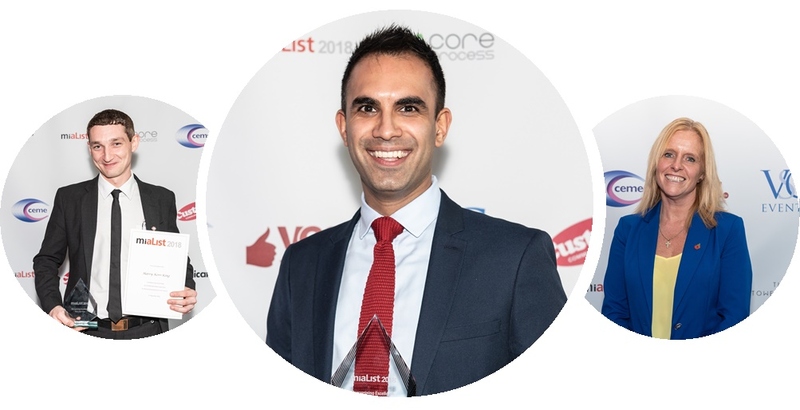 We want to learn more about and celebrate the individuals who have helped to make the UK meetings industry exceptional and hold them up as examples of excellence. It is not enough for them to just ‘do their job’. We need to know about the extra enthusiasm and dedication that produces exceptional outcomes. To help the team of independent judges decide who to shortlist, you should support your nomination with evidence. You should include a minimum of three types of evidence to support your entry, which should highlight how the nominee meets the judging criteria detailed in this guide. All nomination forms will be reviewed by our panel of judges and shortlisted applicants and the person who nominated them will be invited to attend a ‘Judging Lunch’ in September 2019. The final miaList will be announced at the miaList event on Friday 25th October 2019 at Central Hall Westminster, London. Delivers consistent results in their role whether this is in service delivery, sales or operations etc.